Praised for her honey-coated voice, Shola Adisa-Farrar is a new artist with the charisma, grace and versatility to cross borders and cultures. Shola delivers compelling messages rooted in diverse life experiences, while alluring us with her refreshing ability to be powerful and vulnerably open at the same time. Drawing on her Jamaican origins combined with the soul and jazz influences from her upbringing, this California native presents her debut album, Lost Myself (Hot Casa, April 2016), along with French Jazz pianist, Florian Pellisser. Currently playing on French national radio stations, Lost Myself is a musical voyage that blends New York’s hard-bop aesthetics and reggae-inspired elements with modern jazz for a fresh spin on classics and original compositions. 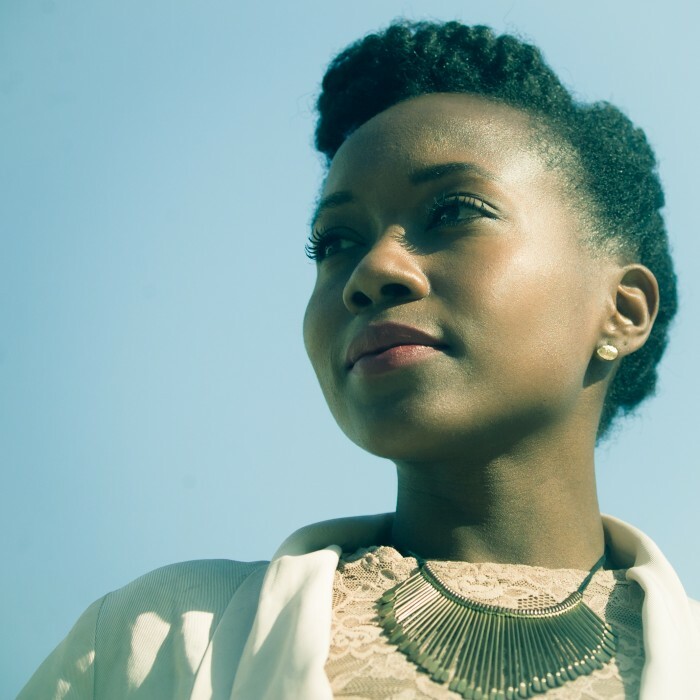 Since the album’s release, Shola has performed to sold-out crowds at one of Paris’ most celebrated jazz venues, Duc des Lombards, performed live on national radio, and has received positive reviews in Les InRocks, Jazz News and Jazz Magazine. Arguably the favorite track among DJs, her single,“Evolution” has been played on international airwaves, most notably by Lefto (Studio Brussel, Brussels) and Gilles Peterson (BBC Music Radio, London). Born in Oakland, California to a family of artists and intellectuals, Shola Adisa-Farrar began singing at the age of eight and garnered attention for her distinctly expressive voice. The daughter of a professor and writer, Shola’s poetic lyrics reflect a childhood that nurtured her creativity and social awareness. As a teenager, Shola moved to New York where she earned a Bachelor’s degree in Music. While in New York, she also educated herself on the behind-the-scenes business of the music industry, and worked at some of the biggest music companies. In 2011, Shola left New York and moved to Paris where she reclaimed her voice and embarked on a singing career, which eventually opened the doors for her to perform internationally. In the last two years, Shola has performed in Jamaica, Botswana, Mauritius, Burkina Faso, and this past July, Shola sang in Cape Verde to her largest audience to date of 8,000 people. During the first week of the album’s release, Lost Myself became the #1 selling jazz album on iTunes France. Following the first of many milestones ahead, Shola Adisa Farrar is ready to greet her audience with her infectious smile, crystalline voice and her joie de vivre. Her debut album, » Lost Myself », with Florian Pellissier Quintet is her exploration into Jazz and was released April 15, 2016.